On March 13, the temporary injunction against Texas Senate Bill 4 (SB4) ended and a modified version of the law went into effect. While immigrant rights, civil rights and humanitarian groups will continue to fight the law in court, the harm being done by the law in the meantime demonstrates the need for something more: amnesty for all 11 million undocumented immigrants in the U.S. The fight for immigration justice is occurring in many forms and on many levels. This multilevel approach is appropriate because it counters the overly simplistic narrative that regards immigration as an individual choice. In actuality, the top four countries from which undocumented people come to the US—Mexico, El Salvador, Guatemala, and Honduras—have been hurt immensely by U.S. foreign policy, creating the flow of refugees. 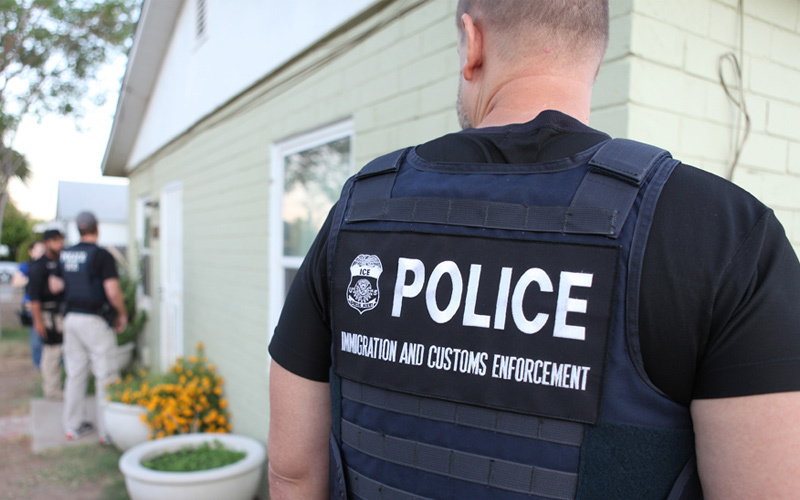 From national campaigns to defund and abolish ICE, to local campaigns to keep ICE agents out of schools, jails and courthouses, there are many efforts to protect people from one of the most vile and fascistic institutions in America. But it is not enough to be antifascist; we must also advocate and practice an altruistic alternative. Any depiction of undocumented people as dangerous outsiders is disingenuous and inherently political. They live and work in our communities; and they belong here as much as, or more than, anyone who lives here by mere accident of birth. Even the term ‘illegal immigrant,’ which presents itself as neutral, is not an observation but an insidious political claim that seeks to delegitimize and demonize a group of people who have done nothing wrong. Moreover, it is a preposterous term. A human being cannot be illegal. ‘Illegal’ is a quality created and assigned by governments to structure society. In the case of “illegal immigration,” the goal is to use militarized borders to maintain oppressive class structures and capitalist imperialism. Nazi occupation declared people illegal as did apartheid in South Africa; these are the rightful contemporaries of ICE and of anyone so comfortable in their own privilege as to thoughtlessly discard the humanity of millions by a semantic sleight of hand. There are no shortage of human rights campaigns for our generation to wage, but as Texans and as San Antonians, we have a duty to actively fight for our neighbors and for our communities. We must join and support organizations such as Mexican American Legal Defense and Educational Fund (MALDEF), Cosecha and the Texas Organizing Project in opposing SB4. We must insist that any politician who claims to represent our communities represents all of us, including the undocumented. We must support our fellow students and their families, who deserve more than ‘deferred action,’ not on the basis of their age or virtuousness but as a matter of basic human rights.